Invite your 3- to 6-year-olds to spend some time at the shore with Caleb and his friends---and dive deep into God's story! 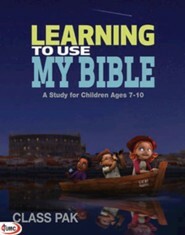 Featuring 146 Bible vignettes written in language that young readers can understand, this brightly illustrated resource introduces age-appropriate foundational study skills and also includes fun-filled "piggyback" songs and prayers. 528 pages, hardcover from Abingdon. 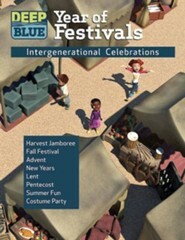 Some of your churchs very youngest children can understand the Bible with the help of Deep Blue Bible Storybook. 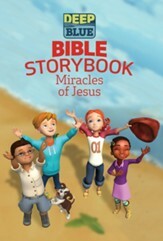 Written in language children from 3-6 can understand The Bible Storybook includes 146 stories that will help your children learn the books of the Bible and practice beginning Bible skills. 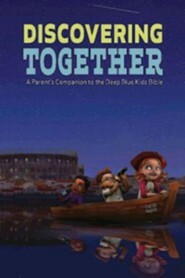 Children love the Deep Blue curriculum characters that are featured in the book and will look forward to learning prayers and fun songs set to familiar tunes with their Deep Blue friends. The new Deep Blue Bible Storybook App brings the Bible stories to life! 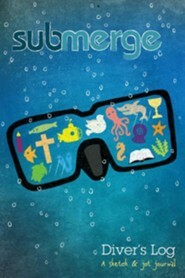 With augmented reality, it gives the opportunity to engage in the Bible stories in a new interactive and exciting way. Augmented reality adds graphics, sounds, and instant feedback directly from the story. Simply take a picture of specific stories in your Deep Blue Bible Storybook, and it will instantly pull up the Deep Blue video for you and your kids to watch together. Now, you can not only read the story, but you can see it as well. The Deep Blue Bible Storybook App, is a great resource for diving deeper into fully experiencing the Bible, in and outside the Sunday School classroom. 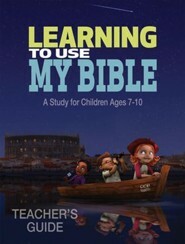 Children, families, volunteers, and children ministry workers alike can all use this new feature to deepen their understanding of the Bible story and grow in their faith. Deep Blue offers many other great tools and resources. To discover more visit, deepbluekids.com or download the Deep Blue Adventure app. Daphna Flegal is a diaconal minister in The United Methodist Church. She is a certified laboratory leader in the area of young children and has worked with preschool children for more than 20 years. Daphna is currently the lead editor for children's curriculum. She lives in Nashville, Tennessee. Brittany Sky holds a Bachelor of Arts in Christian Education from Oklahoma City University, and a Master of Arts in Christian Education from Garrett-Evangelical Theological Seminary. Brittany is currently the Senior Editor of Childrens Resources. Before coming to The United Methodist Publishing House, Brittany worked as a minister with children and their families in local UM congregations, and taught childrens ministry workshops for the Oklahoma Annual Conference. Brittany is currently the editor of Deep Blue Large Group/Small Group and Deep Blue Rotation Stations, the writer/editor of All Hands on Deck, Deep Blue Basics, Deep Blue Family Devotional, and the Deep Blue Bible Storybook. Brittany continues to explore approaches to Christian Education that create relevant, vibrant experiences with God for kids. Brittany loves reading, chocolate, and her terriersCharlie and Lily. 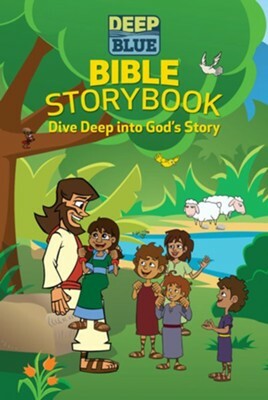 I'm the author/artist and I want to review Deep Blue Bible Storybook: Dive Deep into God's Story.